BPTP Park Floors is one of the most renowned residential project which has been developed by famous BPTP Group. he project comes as an independent floors project which has been deliberately placed at sector-77 of Greater Faridabad. The project spreads across 26.56 acres of land and it is located in an integrated gated community which is built-up in ground+3 floors building having with 2 and 3BHK apartments come up in the area size of 1045, 1170 and 1414 sq. ft. area respectively. The possession of the project would be handed over by the year 2014. 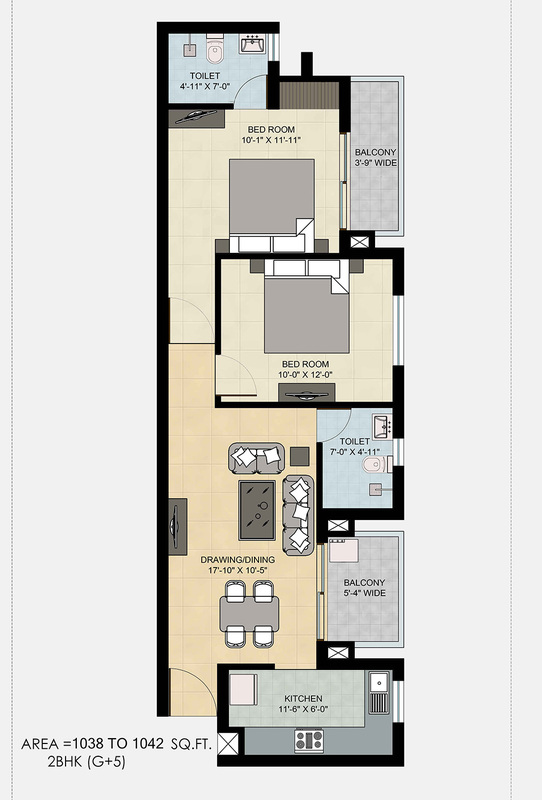 You will find 2 and 3BHK flat in ground+3 floors format and 2BHK apartments are built-up on ground+5 floors building. 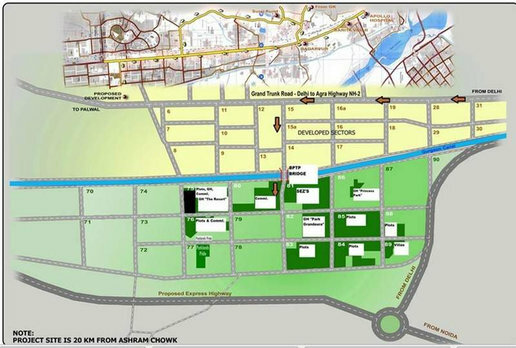 If you are looking for more location benefits, you will find the project is located at 200 ft. wide sector road. It is close to Next door mall which is beautifully located at sector-76. The project is located just across the commercial zone for commercial sector-79. More, you will be having renowned schools, colleges, educational institutes, hospitals, medical institutes are located within close proximity. 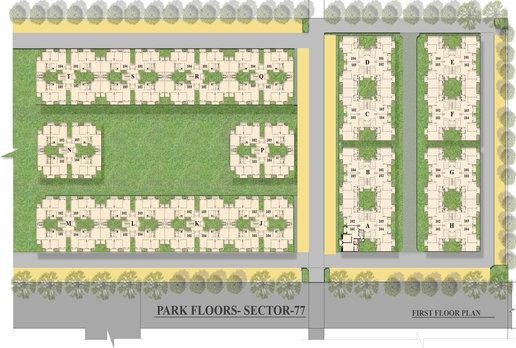 The project will have outside parking with 75% of landscaped area. The open landscaping will be stunning together with huge properties. Further, you will be blessed with some exclusive amenities such as 100% power backup, round the clock security and 24 hours water supply. This is how, you will be having great facilities and amenities that will make your life truly amazing. Apart from all such benefits, you will be pleased to find such projects are available at reasonable price segment that gives us great comfort. Once you are looking for real estate investment you must figure out various aspects about the property and the location where you are looking for property investment. When it comes to Delhi NCR area we find Greater Faridabad a better place to invest in either for investment purpose or for residential purpose. Here, you find various ultra-modern residential projects that have been developed in group housing societies. These group housing societies possess multiple ultra-modern facilities and features. These facilities make our life truly amazing and pleasurable. More, the city is quite suitable for mid- income segment people as the location is reasonably priced. Apart from numerous high-end amenities, the main attraction of this location is its close proximity to Delhi. South Delhi is adjourned to Greater Faridabad which is a posh area of Delhi that offers. Super Area 1038 - 1042 sq.ft. 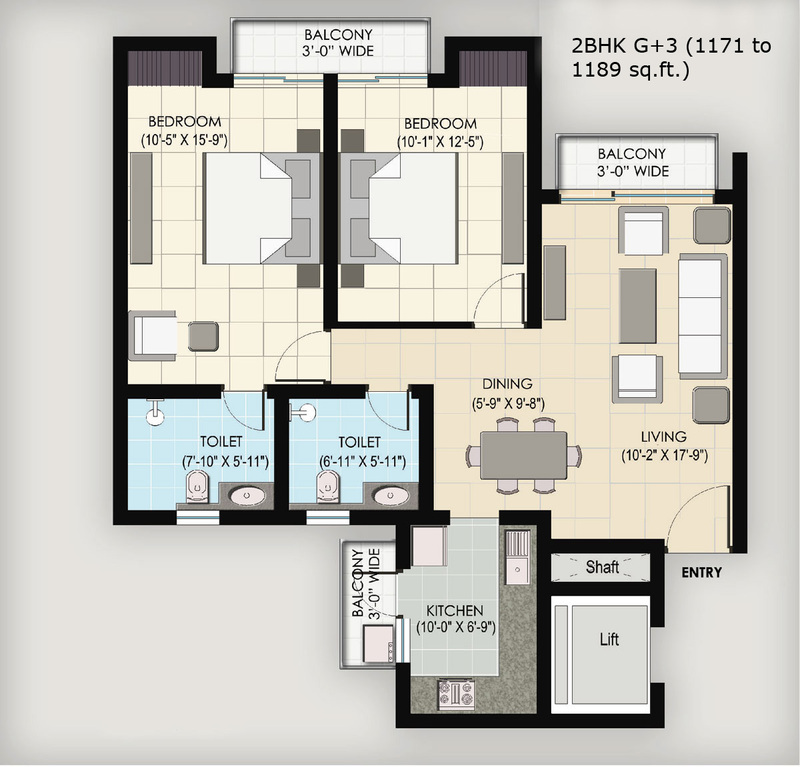 1171 - 1189 sq.ft. 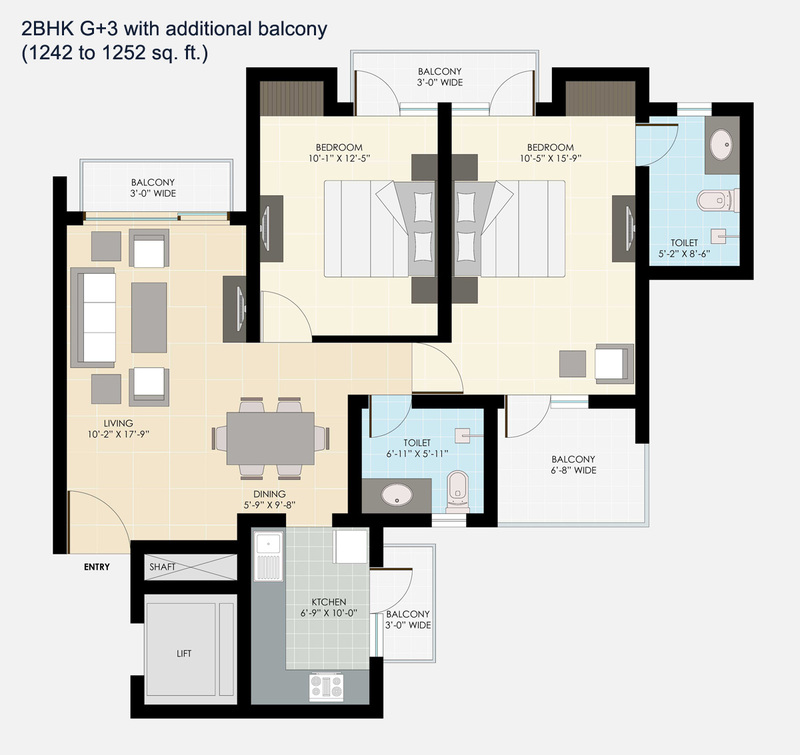 1242 - 1252 sq.ft. 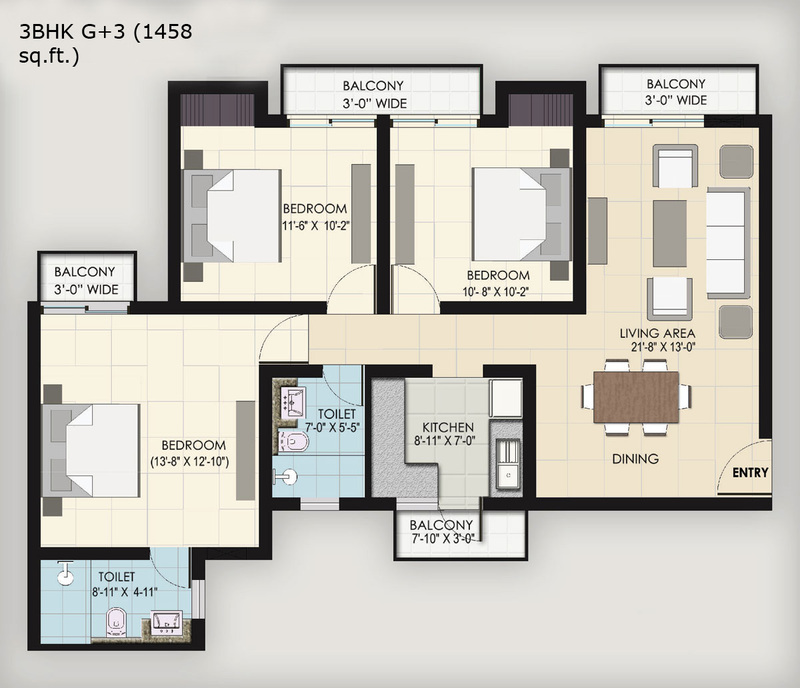 1485 sq.ft. Copyright © 2017 www.bptpparkfloorsfaridabad.in All rights reserved.